What's the best way to produce new electricity? Nuclear power, according to the Infrastructures Ministry. Israel needs more electricity, but the traditional method of producing it – burning coal – is passé. Instead, the Infrastructures Ministry recommends that Israel build a nuclear power plant to fill its electricity needs. The suggestion comes as part of a number of ideas the Ministry issued in a report this week, in the wake of the Paris conference on global warming held this week. A new coal-burning electricity plant is planned for Ashkelon, but Ministry officials fear that it would push Israel's carbon emissions “footprint” over the level the UN has decided is appropriate for a country of Israel's size. While the coal plants can also burn natural gas – which Israel has plenty of – it's not clear when the Israel Electric Company is going to be able to take full advantage of the gas, because it needs to build delivery and processing facilities for the gas, and with a debt of hundreds of billions of shekels, the IEC is unlikely to be able to finance such construction anytime soon. Instead, the Ministry said in its report, a nuclear electricity production could be built by a private company. Nuclear power does not emit any pollutants at all, thus ensuring that new electricity production does not constitute new pollution source. According to the report, land for the construction of such a power plant has already been set aside in the Negev – far from populated areas. 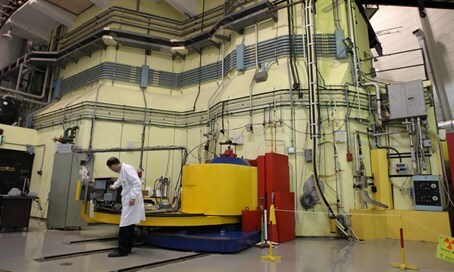 A report in Ha'aretz quoted government officials as saying that the idea had merit – but would be problematic for Israel, because it would require the country to sign several international agreements on the civilian use of nuclear energy, which might be held up if the International Atomic Energy Agency and other international groups insists that Israel first sign nuclear non-proliferation agreements. The nuclear energy program was one of several alternatives listed in the report, along with other alternatives such as solar and wind. However, those alternatives were deemed to be too immature to be used on a mass scale at this time, according to the report.